Prestaratchet 1/4'' Hex Bits Mini Ratchet Tool by Prestacycle at Kerinci. MPN: 24711. Hurry! Limited time offer. Offer valid only while supplies last. COMPATIBILITY- Prestaratchet Tool for use with 1/4" Hex standard Bit heads. ADVANTAGE - Smaller than HEX keys and TORX keys. 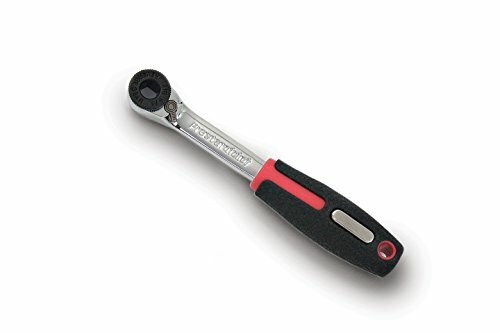 PATENTED - Ratchet Mechanism Stronger than all others. QUALITY & DESIGN - Hardened tool grade steel with a polished finish and comfort grip handle. PORTABLE - 4.25 inches long (108mm) - and only 28 grams. If you have any questions about this product by Prestacycle, contact us by completing and submitting the form below. If you are looking for a specif part number, please include it with your message.